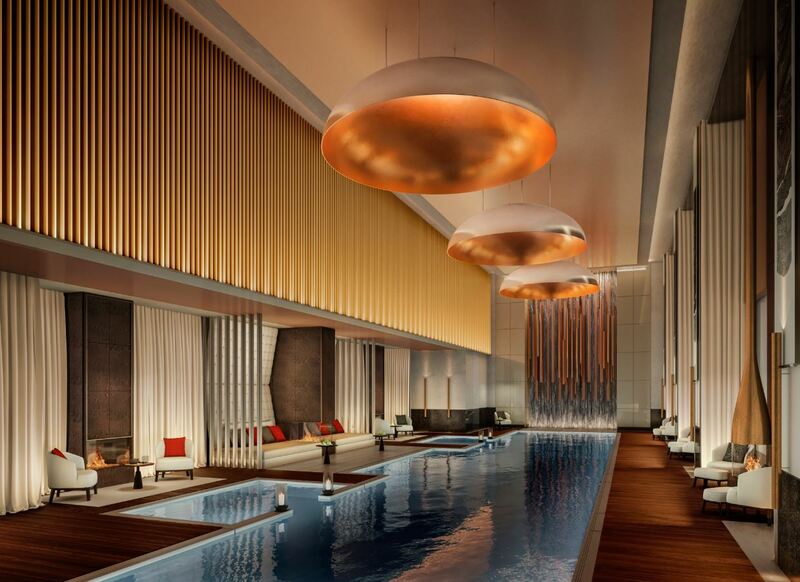 Aman announces a new urban sanctuary in the world’s greatest city: Aman New York, scheduled to open in 2020. 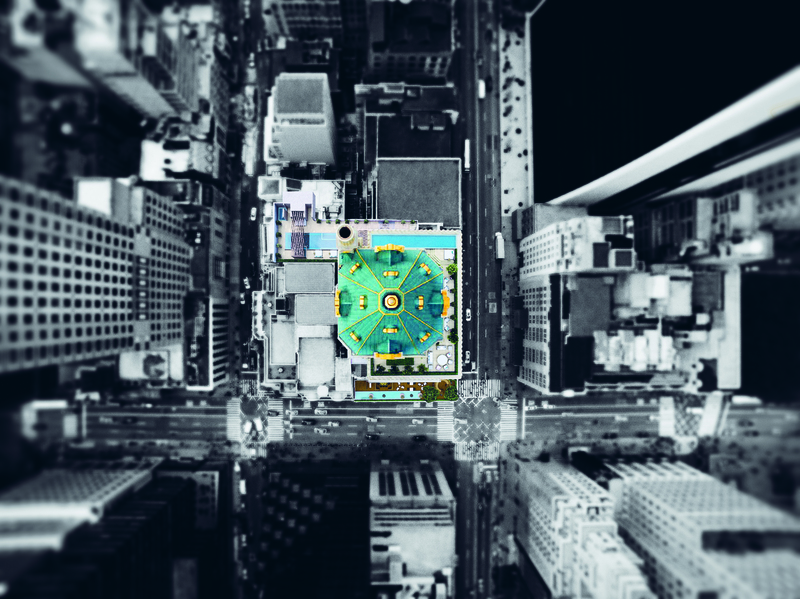 The property, located on Manhattan Island, will blend the pulse of the city with the soul of Aman, joining the much-lauded Aman Tokyo as the brand’s second urban destination, and will be Aman’s third US property after Amangiri and Amangani. Situated in the heart of Manhattan at the crossroads of Fifth Avenue and 57th Street, overlooking Central Park, Aman New York will occupy the iconic Crown Building and will comprise not only guest rooms and suites, but will also house the first urban Aman Residences, a collection of just 20 incomparable private homes, inviting owners to be part of a very select community. Embodying the splendour of the Gilded Age and dynamism of Fifth Avenue, the Crown Building is one of the most architecturally significant buildings in Manhattan. Built in 1921, it is one of the finest examples of neo-classical Beaux-Arts architecture in the Big Apple. An epoch-definer, a legend, a crown, 730 Fifth Avenue defies description in both stature and story. Beyond the park views, the location and the absolute rarity of the building as one of the few vestiges of old New York, this building represents a unique opportunity for Aman, its guests and permanent residents: an unmatched address infused with the Aman way of living, centred on understated, elegant and architecturally designed environments – a perfect complement to the unceasing heartbeat of Manhattan. As it embarks on a new chapter ahead of its centenary in 2021, the Crown Building – formerly the first home of the Museum of Modern Art – will undergo a monumental transformation, which will see it fully restored to its original splendour and imbued with the spirit of Aman. Designed by renowned architect Jean-Michel Gathy of Denniston – a long-time Aman collaborator, and lead designer of some of the most storied Aman resorts including Amanyara in the Turks and Caicos, Amanwana on the island of Moyo in Indonesia, Aman Sveti Stefan, an island which, in the 15th century, was a fortified village in Montenegro, and Aman Venice – Aman New York will celebrate the brand’s philosophy of creating sanctuaries beyond commonplace notions of luxury, whilst paying homage to the building’s striking architecture and significant history. 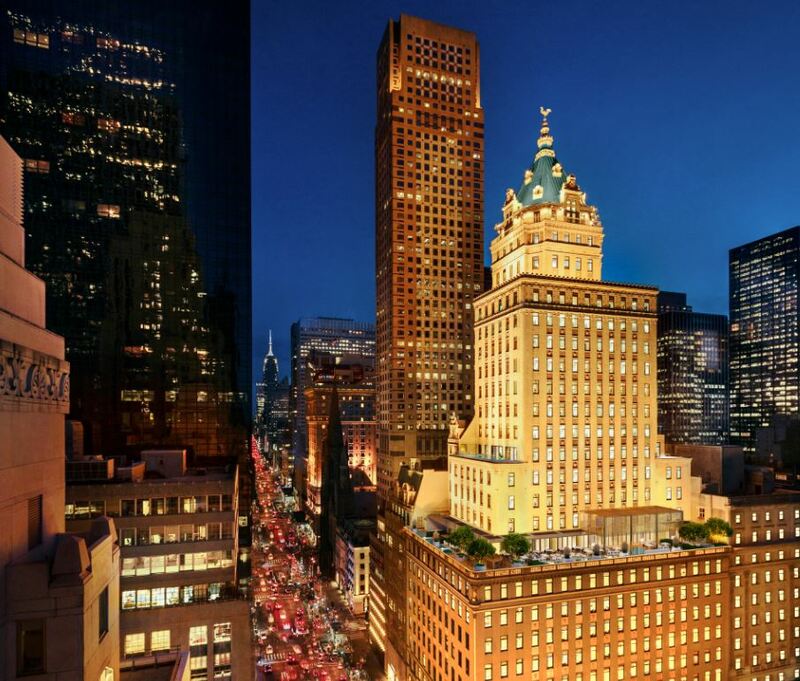 Aman New York will occupy the entire Crown Building, excluding the retail space on the first three floors. It will comprise 83 elegant guest rooms and suites, three principal social dining venues, a comprehensive spa, 19 private Aman Residences on the upper floors, plus an extensive, one-of-a-kind, five-storey, park-view Penthouse at the building’s apex. There will also be an Aman Members’ Club, and Aman New York will house facilities exclusively for the use of its Members. After arriving via an understated entrance, guests’ first encounter of Aman New York will be its dramatic 10th-floor double-height Sky Lobby. Its multi-layers of textured ceiling panels in muted tones will gently hint at Asian influences and set the scene for an aesthetic journey in deference to Aman’s Asian roots. The harmony of the design pays homage to Aman’s DNA, carefully interpreted for an urban environment, and complementing the powerful statement of such a stately building. In keeping with Aman’s commitment to creating havens of space and seclusion, the 83 guest rooms and suites start at 70 square metres, each have a functioning fireplace – something of a rarity in New York – and will be among the largest in the city. A subtle design narrative will feature throughout, typified by nuanced hues and innovative lighting that will cocoon guests, while a more modern ambience can be introduced thanks to a unique pivoting door, which can be opened to integrate the contemporary fixtures and furnishings of the bathroom, should it be preferred. Extending over three storeys on the 7th, 8th and 9th floors, the Aman Spa will cover 2,000 square metres and will be reserved exclusively for hotel guests, residents and Club Members. The centrepiece of this elevated sanctuary will be its 25-metre indoor swimming pool – flanked by alcoves of double daybeds and fire pits – which will provide a soothing escape from the hurried pace of the city. Two Spa Houses will provide guests with an all-encompassing spa journey, indulging them with comprehensive private facilities including a spacious double treatment room, sauna and steam rooms complemented by hot and cold plunge pools, and an outdoor terrace with cabana, daybed and fireplace. The crowning glory of Aman New York will be its broad selection of buzzy public spaces and social venues at which Aman’s intuitive and welcoming service will appeal not only to guests and residents, but also New Yorkers. Headlining these will be its 10th-floor wraparound Garden Terrace – a rare find in one of the most densely populated cities in the world – encompassing a bar with panoramic views of Central Park, and a Cigar Bar, the whole setting a new precedent with its verdant environment. Offering year-round dining, the Terrace will be a must-visit rarefied perch with water features adding a soft and soothing touch, and a central fire pit adding a sense of drama and energy. A stylish Piano Bar in the Sky Lobby, two restaurants – including Aman’s recently introduced Japanese culinary concept, Nama – plus the Wine Library (which will be available for private wine tastings and events), and a subterranean Jazz Club will all establish the hotel as a destination in itself, interwoven into the fabric of the city. Nestled in the building’s ornamental gilded crown, the Crown Penthouse will present the rarest of opportunities to own a New York icon – a piece of the city’s architectural history, reimagined for the 21st century. Offering consummate privacy with uninterrupted views of Central Park, the Penthouse will have a wraparound terrace and indoor and outdoor swimming pools. All Residences, some with sweeping outdoor terraces with heated pools, will be fully serviced by Aman, and Residents will have access to a Members’ Lounge, in addition to the use of all hotel facilities. Aman New York will offer the unrivalled, intuitive service for which Aman is celebrated, providing peace and privacy in the most energetic and engaging city in the world. This new urban sanctuary, together with its fully serviced Aman Residences, will open in 2020 and will see the Crown Building rightfully regain its status as the ruler of Midtown.